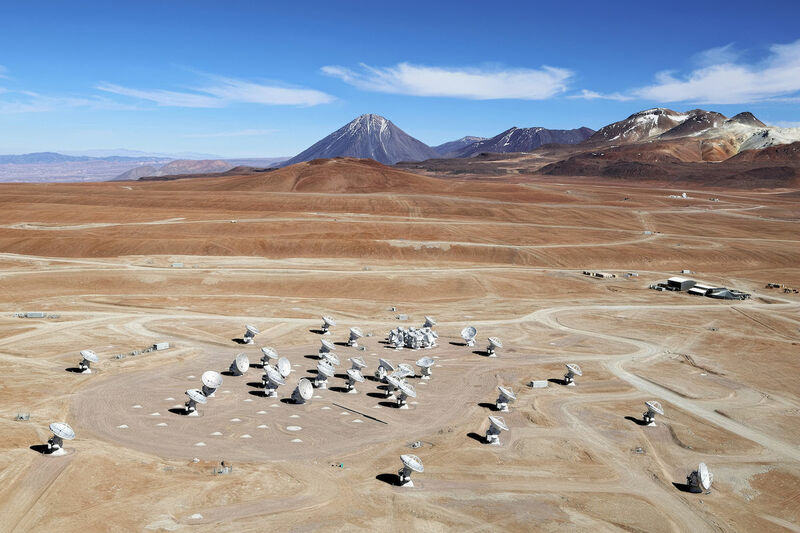 The Atacama Large Millimeter Array became operational in 2011 at Llano de Chajnantor, a high plateau in the Atacama Desert of northern Chile. The array consists of 62 parabolic antennas measuring 12 metres across and spread out over 14 kilometres in the desert. They operate together to simulate a single radio telescope with a diameter of 16 kilometres. The antennas operate at wavelengths between 0.00035 and 10 millimetres: that is, from submillimetre wavelengths to the beginning of the microwave range. Creation of the array is the result of collaboration between Canada, United States, Europe, Japan and Chile. The National Research Council of Canada Herzberg Institute of Astrophysics is responsible for the Canadian participation in the radio telescope project. Canada has provided 64 ultra-sensitive receptors for the 3-millimetre wavelength range, as well as the image processing software for the radio telescope. 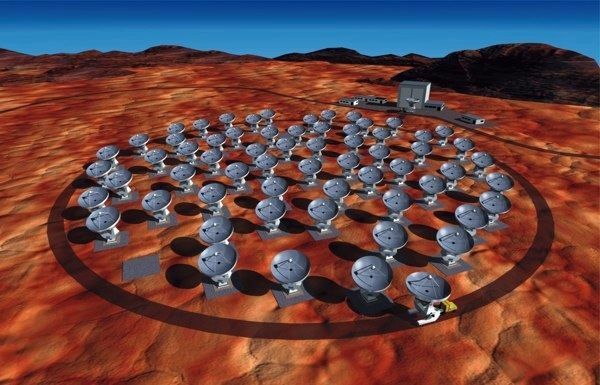 The Atacama Large Millimeter Array is used to study the formation of planets, stars, distant galaxies, galaxy clusters and interstellar matter.